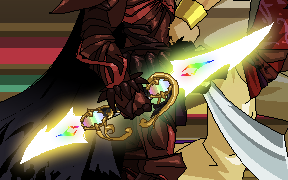 These daggers will pierce the essence of evil beings. Most beings. Just be careful where you point them. This item requires a Dragon Amulet.